[scheerti] posted the mysterious wonder above on S-blog. It’s in Hungarian though, so we’ll just have to live in suspense until someone helps us out with the translation. Bombardier, the maker of many popular recreational vehicles, released a design a while back. Unfortunately, they stated that it may never be produced. It has a unique “landing gear” system for parking. You can see it under the front fender in the left shot above. 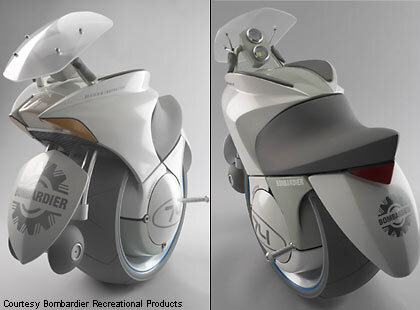 The EMBRIO was an exercise in design, showing what Bombardier envisions recreational vehicles to be like in the year 2025. Not to be left out of the race, Audi has shown off a unique design. 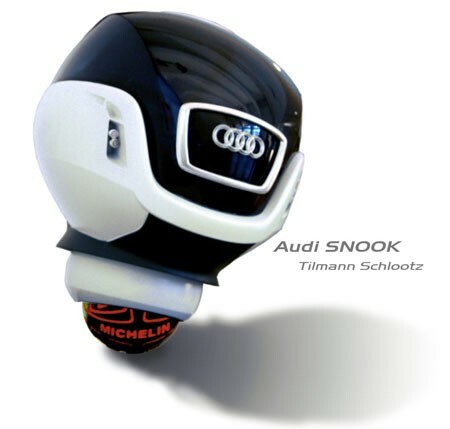 Designed by [Tilmann Schlootz] This award winning design incorporates a spherical wheel and multidirectional drive train. That means that this bad boy can go any direction while facing any direction. Check out the seating, it converts smoothly from one seat to two. Just imagine helping your date into the SNOOK for a night on the town. If those others were too wild or fast for you, why not check out some more traditional models. Pictured above is [Trevor Blackwell]’s electric unicycle, which is pretty much exactly as it sounds. There is also the enicycle and the Einrad-Fahrzeug. For a more rugged application,look at Le Monorue. 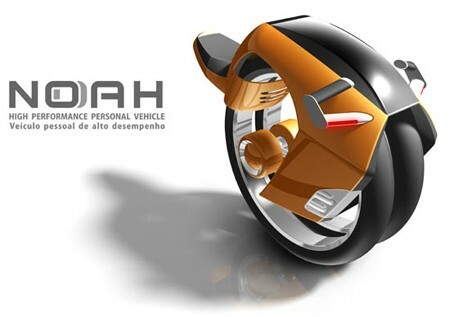 It was designed by [Jackie Chabanais] who has also created a ton of other single wheeled vehicles. Out on the fringe, you will find the Riot Wheel . Different from any other single wheel design out there, it defies classification. Built for a trip to Burning Man, it gained instant publicity and has since been featured on Discovery Channel’s Monster Nation. While we’re talking about different ones, check out Leviskate. You stand on it like a skateboard… or at least try. Lets not forget about good old [Dean Kamen], the inventor of the Segway. 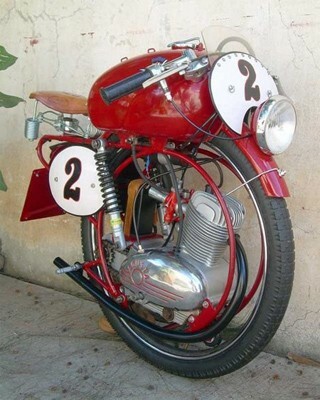 He’s filed a patent for a single wheeled version too. Unlike the Segway, this one comes with a seat! these are just flat out bad ideas. the diy ones are cool from the because i can perspective, but if they aren’t fast enough to be laterally stable, they’re useless as more than a toy, and if they are fast enough, they haven’t got a prayer of having acceptable stopping performance without sending the owner over the front. Tuned’s monocycles (without a satellite microwave power link, of course). So actually no real info about this. I will build the ‘bucycle. 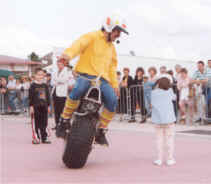 Hayabusa powered unicycle. Now meet another balancing robot. This one balances on one wheel and apparently uses two RCX bricks and four sensors along with three tires to maintain balance on the axis perpendicular to its unicycle. The robot balances on the main axis by directly powering the wheel. 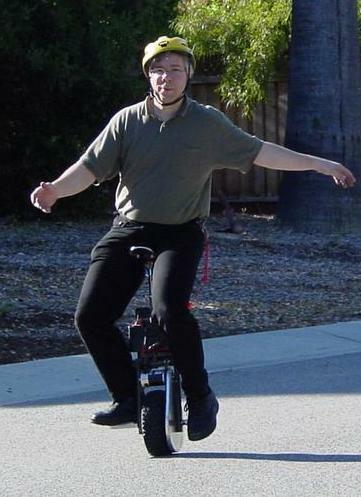 The axis perpendicular to its unicycle is balanced by the set of rotating tires. 1) Noah, Bombardier and Audi are futuristic pictures without a prototype. 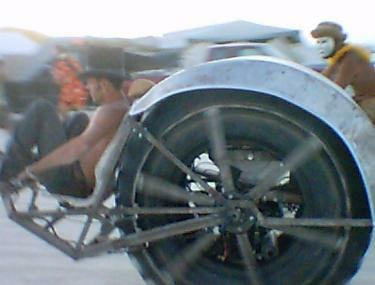 Can someone explaim how to drive the Augusta monowheel withouth a gyroscope + electronic support ? 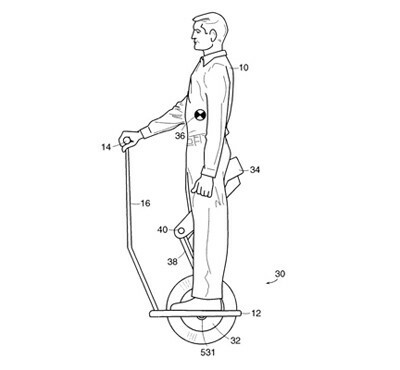 2) Segway and Trevor´s unicycle are very interesting and useful for park lots, shopping malls etc. They are not commuters like the others are supposed to be. Here we have finished products. The Uno is trying to be a commuter too but I´m curious about what kind of solution they are thinking about for bends, slalom, bumps, higher speed and hard braking. Using side-by-side wheels don´t allow it to tilt on curves. Now we can realize another step to solve it with the tandem wheels position faster than 20 mph. Although I´m really impressed with the technical achievement of the early Uno, now they are approaching a traditional bike layout, probably with a big lack of ride sofistication. 20mph is a high speed for a side-by-side layout. And faster it´s better to think how to manage high Center of Gravity x short wheel base and no caster angle. again not a high speed device but compact and easy to carry at journeys end.